Full disclosure – I was on the panel that recommended the winners. On Monday, May 6th, Mayor Vincent C. Gray and the D.C. Office of Planning’s (OP) Historic Preservation Office presented the winners of the 10th Annual Awards for Excellence in Historic Preservation at the National Academy of Sciences. OP partnered with the D.C. Preservation League on this event. Since 2003, the District government has honored over 125 outstanding projects, programs and individuals for exemplary work and commitment to historic preservation in Washington, D.C. This year’s awards recognized 50 individuals, businesses, District agencies and local organizations. 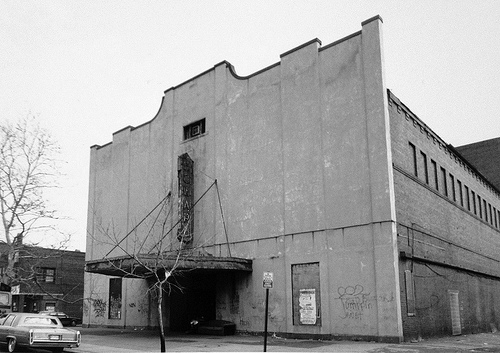 Awardees include the restoration of the historic Howard Theater; the return to production of Rock Creek’s Peirce Mill; the reconstruction of long-neglected Georgetown cobblestone streets; and the transformation of a nationally-recognized science organization’s headquarters facing the National Mall. The award-winning projects represent an investment of $152.5 million in historic districts and landmarks in the District. Highlighting the event was Mayor Gray’s presentation of the Individual Lifetime Achievement Award to Ann Hughes Hargrove, longtime resident of the Washington Heights Historic District. Hargrove, active in the establishment of two historic districts, is a preservationist and veteran community zoning advocate who was also a driving force in efforts to curb billboards in the District’s commercial historic districts. “We are excited to honor a number of stellar projects, individuals and education efforts that demonstrate how historic preservation can revive landmark structures and highlight community heritage that enhance the unique character of Washington,” said Harriet Tregoning, Director of the Office of Planning. Complete List of 2013 Awards for Excellence in Historic Preservation Winners after the jump. War of 1812 Archaeology Projects: Two archaeological projects straddling the District/Maryland Line, one led by the Benjamin Harrison Society (U.S. Reservation 520) and the other by the Maryland State Highway Administration (Eastern Avenue Extended), to expand our knowledge of the War of 1812. John Bellingham, FRICS, FCIOB, FAIC, CEnv: Nonprofit partner DC Preservation League honors its past president for years of volunteer efforts promoting historic preservation in the District of Columbia and the region. Brownley Building, 1309 F Street, NW: Recreation of the first story façade returns this downtown building to its intended beauty as one of DC’s best examples of Art Deco architecture. Shalom Baranes Associates, PC; Douglas Development Corporation; EHT Traceries, Inc.
Embassy of the Republic of Argentina,1600 New Hampshire Avenue, NW: Internal mechanical upgrades and restoration of the internal and external finishes makes this South American embassy shine. Morrison Architects; The Republic of Argentina; Monarc Construction, Inc.
O and P Streets Rehabilitation Project, at Wisconsin Avenue, Georgetown: Exemplary restoration of a long-neglected cobblestone street containing the single remaining example of streetcar “conduit track system” in the United States. DC Division, Federal Highway Administration; District of Columbia Department of Transportation; The Temple Group, Inc.; Capitol Paving of D.C., Inc.; Bullock Construction, Inc. 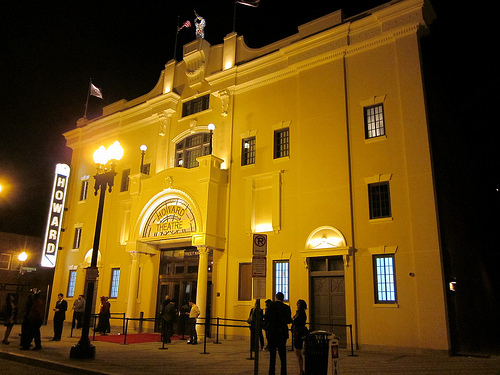 The Howard Theatre, 620 T Street NW: Efforts culminating in the resurrection of one of the crown jewels of Washington’s Black Broadway are recognized and celebrated. Marshall Moya Design; Martinez+Johnson Architecture PC; Ellis Development Group; Howard Theatre Restoration, Inc.; EHT Traceries, Inc.
Ann Hughes Hargrove: Active in the establishment of two historic districts, this preservationist and veteran community zoning advocate was also a driving force in efforts to curb billboards in the District’s commercial historic districts.